Last year, we brought you a few wonderful romantic walks in England, but for this Valentine’s Day, we’ve decided to broaden our horizons. We’ve given you more choice of walk and also ventured into Scotland and Wales. There’s nothing quite like a relaxing romantic stroll with your partner for Valentine’s Day. The stunning scenery of Britain’s coastline could bring you closer together, the lush green countryside is perfect for a quiet reflection on how in love you are…or maybe the fresh air will just contribute to an argument about who’s walking too fast or who forgot the sandwiches. Either way, at least you can be happy you’ve done some exercise on what can be quite an indulgent day. So, get out and about on Valentine’s Day and take a stroll on one of these romantic UK walks. For the uninitiated, a ‘tarn’ is a mountain lake or pool and a ‘how’ is a small wooded hill. 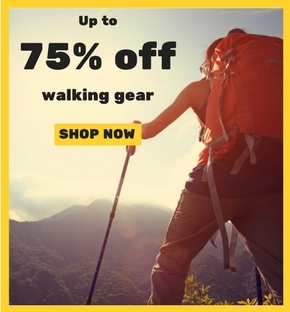 Funnily enough, this walk features both of those features in one stunning package. Tarns are usually natural occurrences, although these were created by damming up a beck in Victorian times. This is a lovely short walk nestled in the corner of the Lake District, clocking in at just under two miles, which is perfect for a Sunday afternoon after polishing off a huge roast dinner together. There are some amazing views to take in of nearby Coniston Hills and Langdale Pike – if you can tear your eyes of each other, of course. 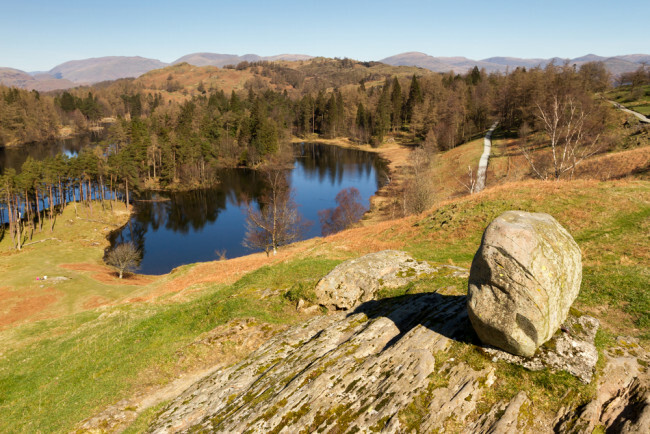 You can found out more information about Tarn Hows and the local area on the National Trust website. 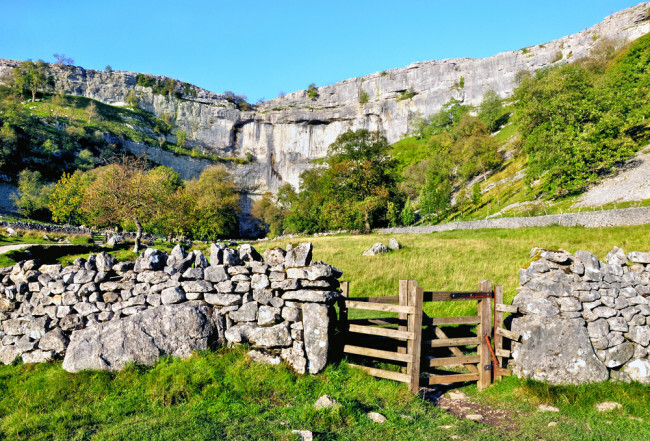 Malham Cove, a short ramble from the village of Malham, is quite a sight to behold. It’s a huge, amphitheatre-like limestone formation, unlike anything else in the UK. Standing at around 260 feet high, there are some breathtaking views of the surrounding countryside, along with the unique limestone pavements at the top. Malham Cove has become somewhat of a TV and film star over the past few years, featuring in Harry Potter and the Deathly Hallows and BBC Two comedy The Trip starring Steve Coogan. Find out more about Malham Cove and the surrounding area on the Yorkshire Dales National Park website. Scotland has its fair share of stunning scenery and romantic walks, but the Falls of Bruar has to be up there with the best. Located near Blair Atholl in Highland Perthshire, the Falls sees you wander through woodland and over several fantastic stone bridges before bringing you to a quite stunning waterfall. The area has been a tourist destination since the 1700s and it’s not hard to see why. Ingleborough is the second highest mountain in the Yorkshire Dales at 723 metres high. It’s often completed as part of the Yorkshire Dales Three Peaks challenge, although for most of you, that’s probably not the leisurely Valentine’s activity you’re after. You do have to be careful of the odd ravine and pothole, such as Juniper Gulf, however. It wouldn’t be much of a Valentine’s Day if one of you disappeared down there. Also of note are the amazing Ingleborough Caves that are well worth a visit if you’re in the area. You could even use the caves as a metaphor for the deep feelings you have for each other. Or not. Not far from Chester sits Moel Famau, the highest peak in the Clwydian range. However, it’s not too much of a struggle, and even the toughest route is manageable. It’s a great mix of woodland walking and more exposed areas, and when you reach the top, the panoramic views are well worth it – on a clear day you can see to Liverpool and beyond. It can get a bit wet and windy but you’re so wrapped up in each other, you’ll barely notice, right? We know we’ve already mentioned Yorkshire, but it really is one of the best places in the UK for a romantic walk. Hardcastle Crags is a stunning wooded valley dotted with beautiful waterfalls and rippling streams that really do transport you to another time. The area is also home to the northern hairy wood ant. 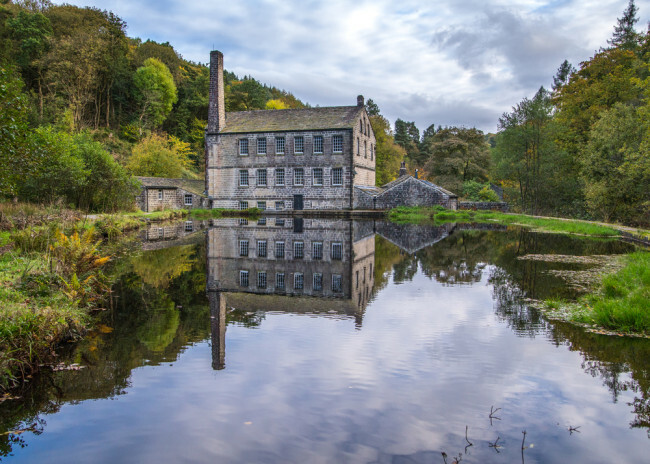 At the heart of Hardcastle Crags is the impressive Gibson Mill, now a visitor centre. The former mill is 100% sustainable, having no links whatsoever to the National Grid. You can also have your wedding at Hardcastle Crags. You know, just in case you’re feeling particularly romantic. Find out more about Hardcastle Crags at the National Trust website. This is a lovely picturesque walk, with the iconic Box Hill stepping stones and obvious highlight. Just don’t fall in or it’ll be a soggy trip home! You will also take in The Fort, one of Box Hill’s oldest buildings, Yew Woods and Salomon’s memorial, so there’s plenty to see as you go. 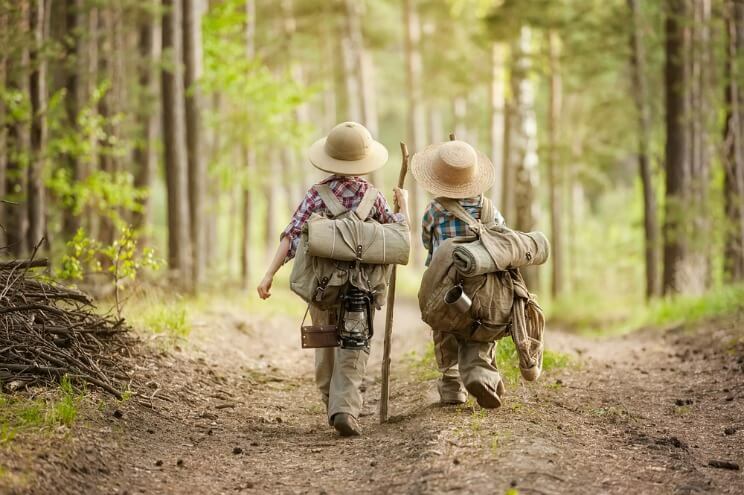 Some of the stepping stones and steps leading down to them can be little slippery so make sure you have some decent walking boots and hold each other tightly! 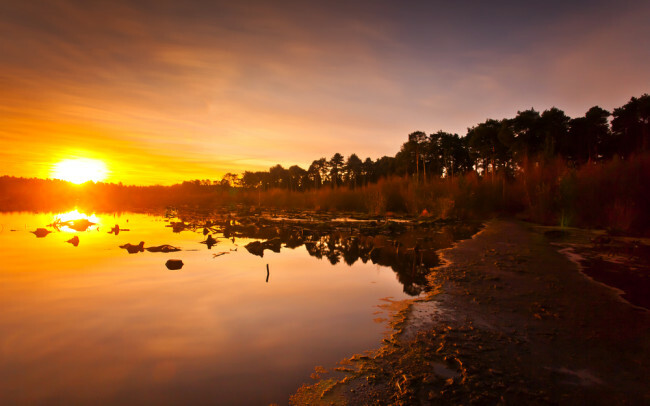 Delamere Forest is a wonderful place to go for a walk. It’s a nice leisurely ramble with few steep sections and most of it is pretty simple to negotiate. Part of the forest takes on the Sandstone trail, so there are plenty of Sandstone paths to follow or you can wander off the beaten track a little and create your own walk. There are also a couple of lakes nearby that are great for birdwatchers. You can see a detailed map of where you can walk in Delamere Forest here. If you’ve never taken a trip to the Brecon Beacons, then we can’t recommend it enough. Some of the scenery is absolutely breathtaking, not least at Henrhyd Falls, the highest waterfall in the national park. The best walk to take starts off in the National Trust car park (grid reference SN853121) which takes you off down some reasonably steep slopes, winding through some wonderfully dense woodland towards the falls. If you’re careful, you can actually walk behind the falls, which is a pretty amazing experience, and one that was used when Christopher Nolan’s The Dark Knight Rises was filmed there. Bizarrely, there’s also a monkey sanctuary nearby which is well worth a visit! Wensum Way in its entirety is around 12 miles long, so isn’t a walk most people would consider leisurely, but there are a number of shorter, more manageable walks within it that might be more relaxing. Depending on which route you take, you’ll see picturesque villages, flowing rivers and beautiful scenery in all directions. The River Wensum (taken from the Old English word for ‘winding’) is a Site of Special Scientific Interest, which more or less guarantees a great walk. 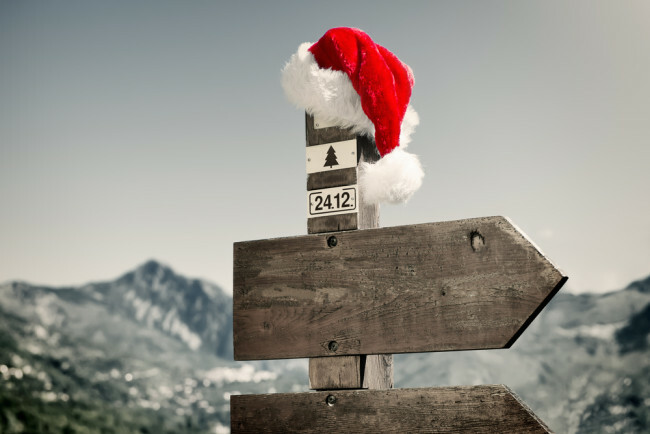 You can find more about the different routes available here. 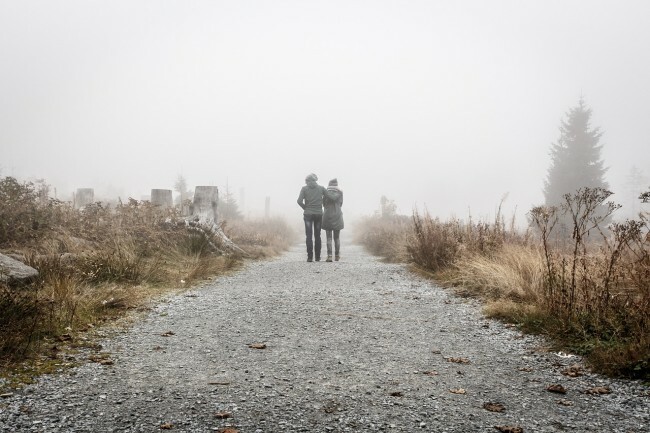 Do you have any suggestions for romantic walking routes? We’d love to hear your suggestions.